If you are visiting Paris, you can’t help but coming across delicious and tempting pastries. In bakeries, patisseries, supermarkets, cafés.. even McDonalds has their own selection of typical french pastries like Macarons and Eclairs. Paris is food heaven. Point. 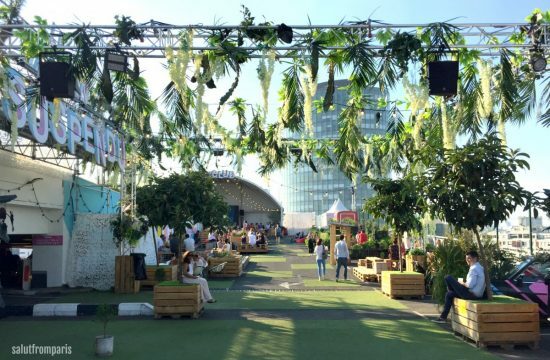 For many, the hearty haute cuisine is the “must try” Paris experience par excellence. 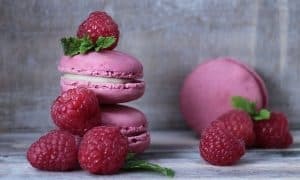 But frankly, you did not fully immerge french food if you didn’t dedicate a significant amount of time to french sweets, cakes, pastries, desserts and viennoiserie. 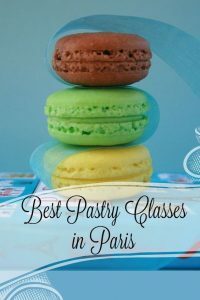 Many are raving for years about the so yummy Macarons, Croissants or Éclairs that they had when being in Paris… but what if you could just prepare them yourself? Wouldn’t that skill be the best souvenir from your Paris vacation? Just sign up for a baking class in Paris and learn from Pâtissiers and Chefs the secrets of french pastry and baking. The classic french breakfast Croissant is most likely the most famous pastry of the world. It’s origin is subject to numerous legends. The most known says the Croissant was created by Austrian bakers to celebrate the defeat of the turks, hence the half moon shape. Later on the puff pastry got popular in france due to Marie Antoinette and got renamed to “Croissant de Lune”, french for “increasing moon”. But whoever invented it and however it came france, it stayed. 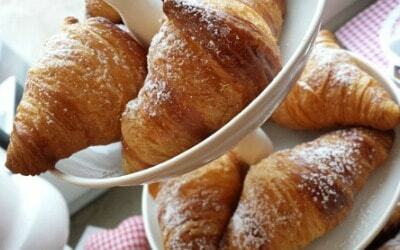 Today, croissants can be found in every bakery and supermarket, but be aware, they are not everywhere equally good! There are big quality differences between a Croissant from a Boulangerie Artisan, that is preparing their pastries by scratch in house and such, that are getting their products delivered as frozen dough. What better place is there to learn french pastry art than Paris?Take this opportunity to learn how to bake authentic french Croissants - Get introduced to techniques and know how by a professional chef. Macarons are probably the most famous french pastry and also the most prestigious ones around. Those tender and colourful little sandwiches with the slightly crunchy outside and the soft core, filled with flavoured buttercream … they are coming just in the palatable size to enjoy more than one – it’s impossible to choose only one flavour anyway. Even though the pastry is basically just consisting of egg white, almond flour and sugar, Macarons are pretty difficult to prepare though. It requires some know how and finesse to master this classic french pastry. 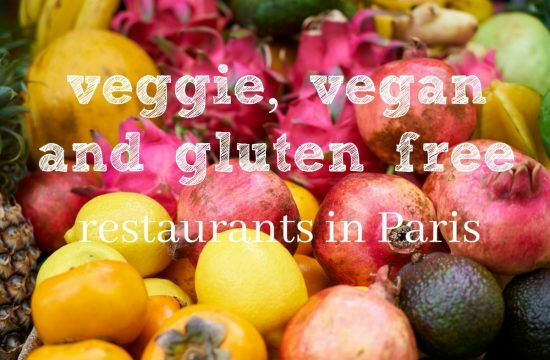 But Paris is food haven. A paradise for cooking and backing, which place on earth could be better to learn how to prepare Macarons than Paris? Another classic french pastry is certainly the Eclair. 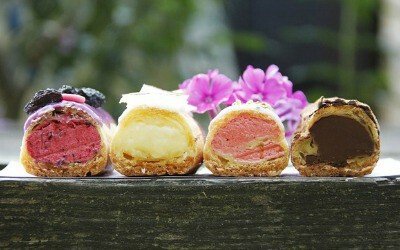 The oblong choux pastry is normally filled with flavoured cream and topped with an icing. It is d.e.l.i.c.o.u.s.! (frankly, it’s my personal favourite). While the Macaron might originate in Italy and the Croissant in Vienne, Eclairs are as french as it can be. Back in the 19th century éclairs where still called “pain à la Duchesse”, however, some historians think that their creation leads back to Antonin Carême, the famous french chef that died in 1833. If you think now.. nah, éclairs… I know them from the US, been there done that… the north american Long Johns are not identical to éclairs in france; they are made from doughnut pastry and not from choux dough. Are you intolerant to Gluten or Lactose? Is Glucose not your thing or is your diet vegan? Worry not! Even though this dietary requirements seem to be pretty much incompatible with the french pastry traditions, there are some baking and dessert classes that are taking your needs into consideration. I am visiting paris in May 2018. I am interested learning eggless, gelatin free pastries and desserts. Can you guide me through where I can learn and how can I go about it.